At the Bulb Tanning Salon, our mission is simple: provide an incomparable tanning experience in a relaxed, professional setting. We are an ETS 5 Star tanning salon. Each bed features facial tanners as well as temperature controls. 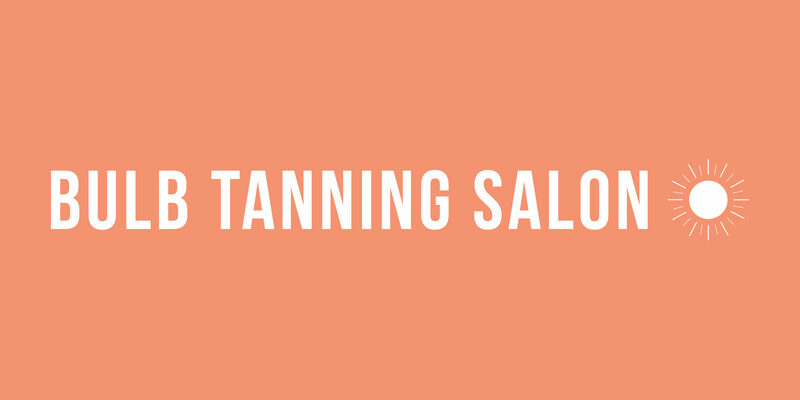 Our salon offers 7 levels of luxurious UV tanning beds and booths as well as UV-free airbrush tanning and UV-free red light therapy. We offer over 70 premium tanning lotions and supplies, so you can look as good as you feel. Our staff is Smart Tan Certified and capable of providing professional advice to enhance your tanning experience. Each room features independent AM/FM/CD/MP3 player compatible systems to provide you with the most enjoyable tan possible.